Here in California, El Niño has officially begun to influence our winter weather. It’s gray and rainy outside, with no signs of stopping anytime soon. This means that come dinnertime, all I want is to curl up with a bowl of something warm and comforting, and tomato soup always fits the bill. This soup is smooth and satisfying without being too rich. It gets its velvety texture from the addition of bread, not cream (or any dairy at all, for that matter). It’s also very easy to make. A basic mirepoix starts things off, with the addition of Garlic Gold® Oil for extra flavor. Next, the vegetables are simmered and blended with jarred tomatoes and bread. Finally, chicken stock is added until the soup reaches just the right consistency. All that’s left is to toast up some croutons and sprinkle them on top, for crunch in every bite. 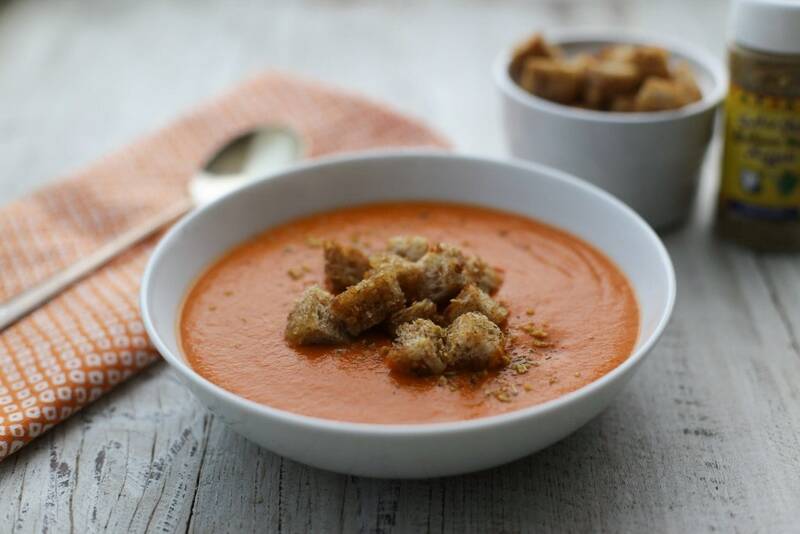 A basic, well-balanced tomato soup. It's dairy-free, yet velvety smooth. In a medium (3-quart) heavy bottomed saucepan or soup pot, heat the Garlic Gold® Nuggets in Oil over medium heat. Add the onion, carrots, celery, and salt. Give the vegetables a stir, then cover the pot and let cook for 10 minutes, until vegetables are softened but not browned. Add the tomatoes and diced bread to the pot and stir to combine. Cover the pot again and let simmer for 10 more minutes. Transfer the soup to a blender and blend for about one minute at high speed, until very smooth. Return the blended mixture to the pot, stir in the chicken broth and warm over low heat, until piping hot. 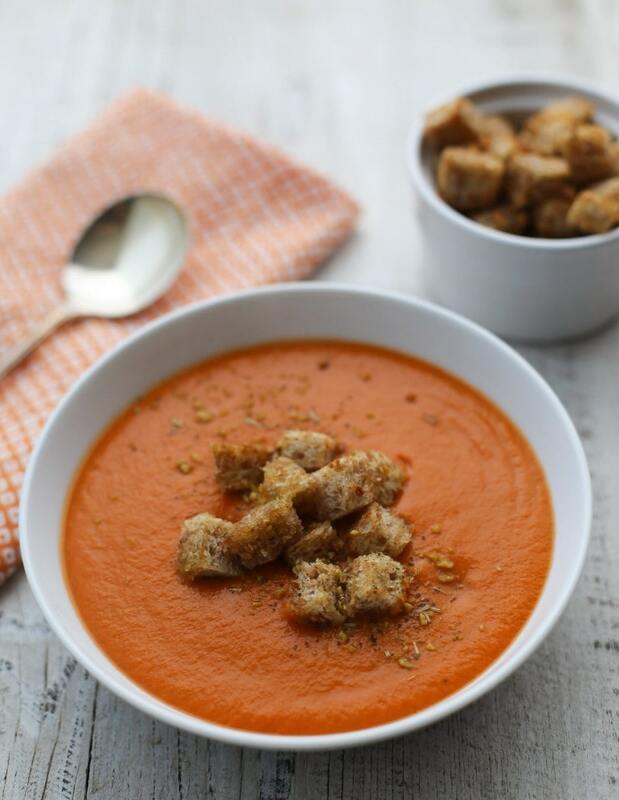 When the soup is ready, make the croutons: Toss the diced bread with the Garlic Gold® Nuggets in Oil and toast until lightly browned, about two minutes. 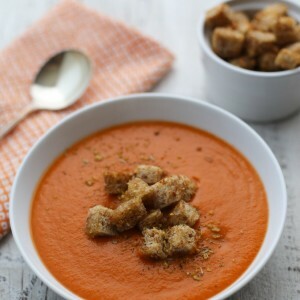 Ladle the soup into bowls and sprinkle a handful of croutons on top. Top the soup with a final sprinkle of Italian Herb Nuggets and serve hot.